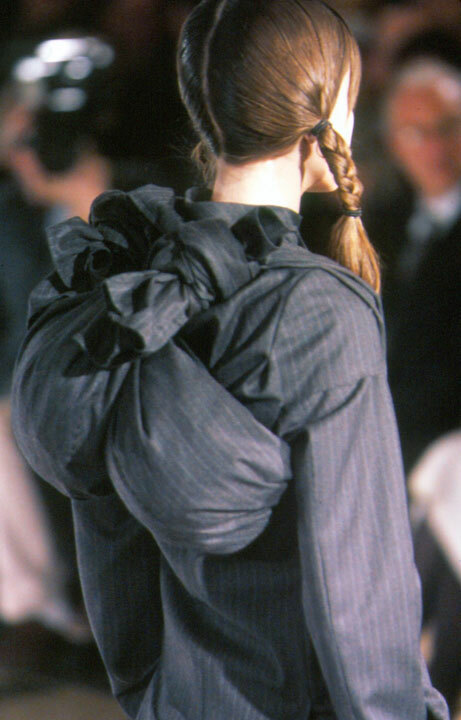 The erudite and peripatetic photo- journalist, Bill Cunningham, who reports, for the New York Times, on everything “fit to print” about things fashionable, cultural and social, devoted a recent Sunday Styles column to the work, in particular the coats, of the Japanese couturière, Rei Kawakubo. 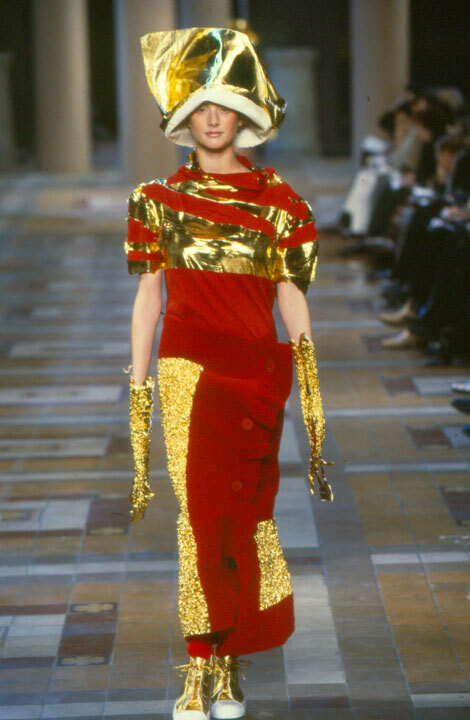 Some of the pictures were of pieces shown in Kawakubo’s Comme des Garҫons collection of March 2012, but more tellingly, others were of women savvy enough to hone in and pounce on the limited supply of these masterpieces of fashion as art. 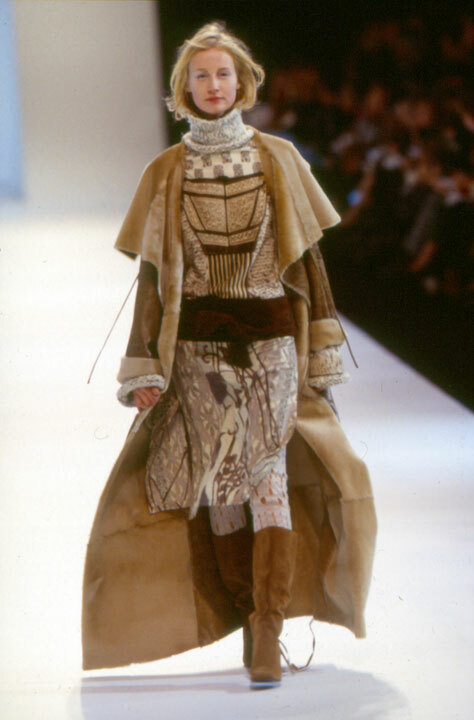 Or, art as fashion as the cognoscenti would see them. 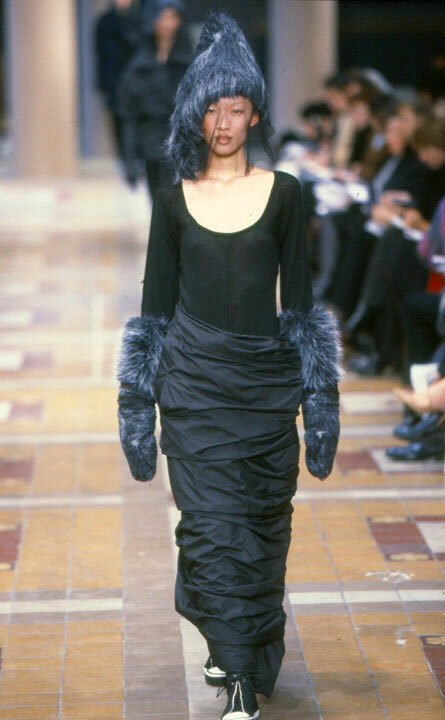 Japanese influences in fashion – ideas spawned by Kenzo Takada, he of Jungle Jap, and Issey Miyaki, in the ‘70s and later, the fashion rampart-breaking concepts of Kawakubo and Yohji Yamamoto - are seen and felt, season after season, in the work of designers and artists around the world. Should you ask, trend spotters engaged in the fields of apparel, textiles, accessories – even cosmetics and fragrance – will tell you that they keep a weather-eye peeled on the Far East. Wander through Tiffany’s and you’ll spot Elsa Peretti’s pendant; a round of red-lacquered hard wood that mimics, intentionally or other-wise, The Rising Sun. A decade or so ago, a sash made by Gucci in the creamiest black silk, wrapped around with delicate leather braids, had clear ties to the obi. Obi references continued; at this writing, in a mile- wide leather belt by Sergio Rossi and in Céline’s clutch with an obi-reminiscent clasp. Geta, traditional Japanese clogs, walk on through contemporary life as wedge-soled shoes and the ubiquitous flip-flop, while a shopping district in Tokyo inspired Gwen Stefani’s Harajuku fragrances and their adorable little doll-like bottles. And then, there’s Uniqlo. A Japanese retail behemoth, Uniqlo stores can be found in 12 countries and counting. And, interestingly – though its mission appears to be to out-sportswear American casual sportswear giants – Gap, for one - Uniqlo positions itself as a technology company rather than a fashion one, offering as it is said to do, more technologically advanced textiles than any other mass market retailer in the world. That said, it’s Uniqlo’s cheap and chic fashion that drives legions of customers through its doors for the iconically American jeans, T-shirts and blazers, as well as the socks and cashmere sweaters in a gazillion colors. But here’s the thing: while you won’t find, at Uniqlo, obi sashes, cherry blossom prints, kimonos and origami folds, you will find a brilliantly executed, traditional Japanese work ethic in the way the stores are manned and managed, and a Japanese sense of civility and respect in the way customers are greeted and treated. Pacific Overtures, if you will.